24/7 400 lbs. 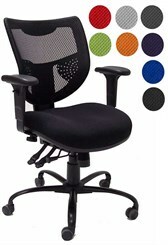 Capacity Multi-Function Mesh Chair - In Stock! Free Shipping! Our premium Multi-Shift chair features top notch design plus full ergonomic functions. 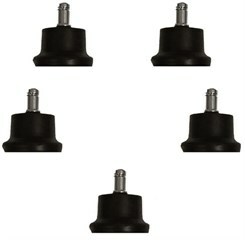 Built for 24/7 applications and users up to 400 lbs! * Oversized, heavy-duty casters for easy mobility. Seat cushion measures 20-1/2"W x 20"D x 18-1/2" - 21-1/2"H. Back is 19-1/2"W x 19"-22"H. Measures 25"-28"W x 25"D x 37-1/2" - 43-1/2"H overall. Shpg. wt. 61 lbs. Meets CA fire foam approval. 5-Year Limited Warranty. PRICE INCLUDES SHIPPING! IN STOCK!